Are you thinking about building a fence? Start by defining your needs, then choose the appropriate model, materials and location. Make sure your fencing project complies with municipal regulations and bylaws. Look into the possibility of sharing the costs with your neighbor. 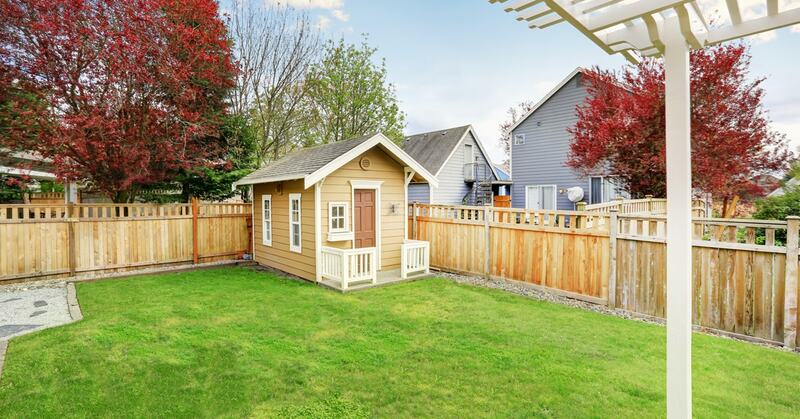 With the proper planning, a fencing project can be completed fairly quickly and easily. The function of your fence should be your first and prime consideration. Once that has been established, check if any municipal bylaws or regulations apply, then determine the exact location of your fence. 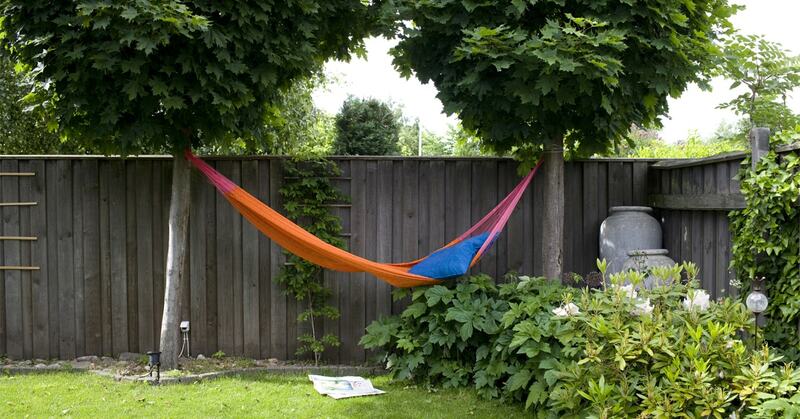 Privacy: When your backyard joins a neighbour's yard or faces a busy street, opt for a solid-panel or fine-trellis fence. This will ensure your privacy and block out an unwanted view. 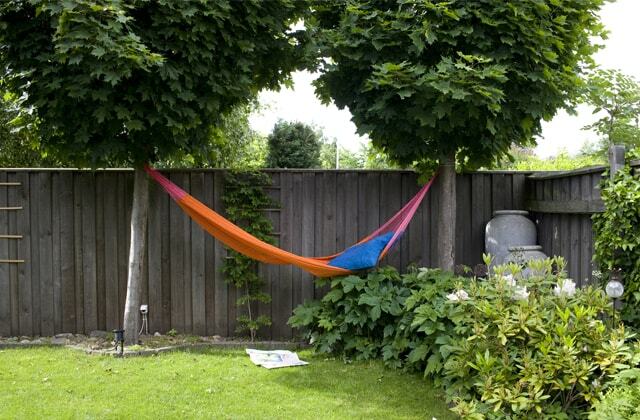 Weather: In regions where heavy winds are common, a fence may provide protection. 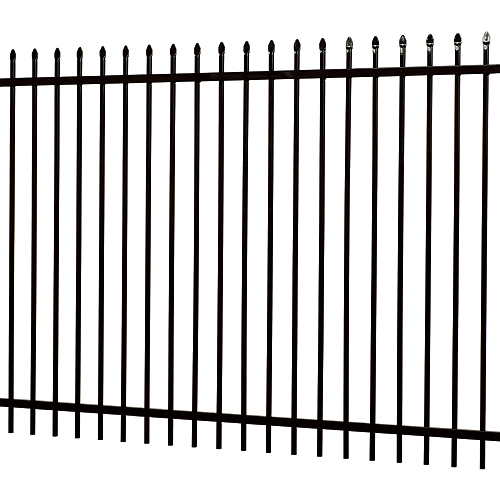 Choose a fence with a solid foundation (with sonotubes) and install posts closer together. Do avoid full panels 6' wide or more, and ensure the model allows for air to flow through freely. Pollution barrier: A fence is useful where there is an excess of noise, dust and fumes from busy thoroughfares. 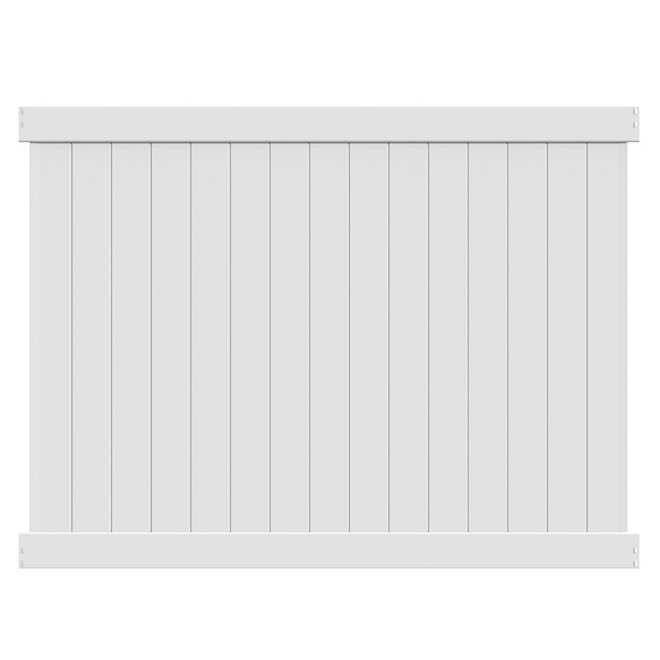 Choose a high opaque fence model (ideally with wood on both sides). Be aware of bylaws and regulations governing minimum and maximum height, the distance between fences and residential buildings, and the types of fence models and materials that are allowed. Find out if you'll need to apply for a permit. Wood is easy to cut and assemble. It's versatile and comes in a range of styles. 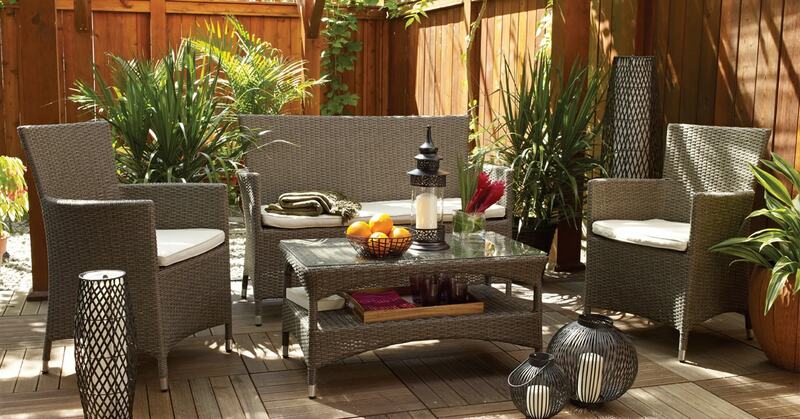 There are many patterns to choose from, unusual shapes and the option of a trellis on top. Use stainless or galvanized steel screws for assembly. Prefabricated fence sections are ready to install, easy to assemble, good quality, less expensive and available in different models. Less durable than steel, PVC or composite wood. High-end quality, rich texture and great durability are the trademarks of a cedar fence. Becomes more beautiful with age. Low-maintenance. 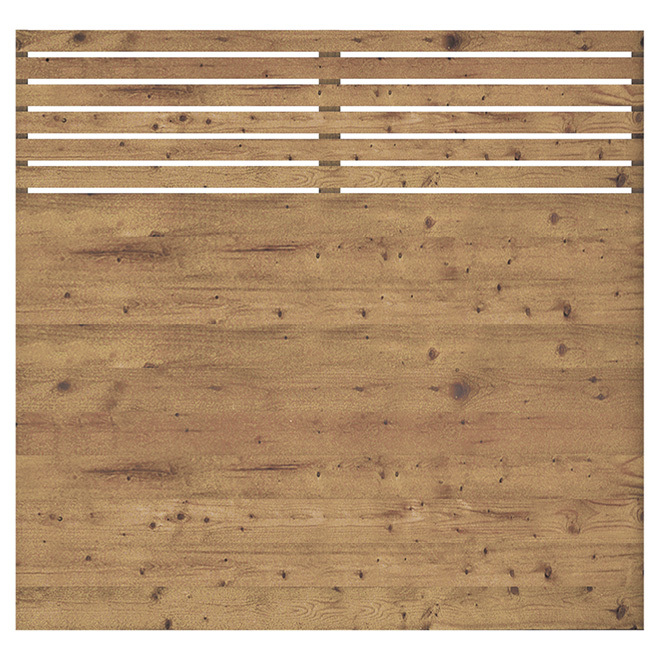 To improve durability, apply a wood preservative. Material is made of recycled plastic. This material is easy to mould, which makes it possible to makes fences and components of various shapes and textures. It can be made to imitate other materials such as painted wood. Structures are often reinforced with galvanized steel. The support posts are anchored to a concrete base, and may also be filled with concrete. Apply anti-rust paint to wrought iron every 8 to 10 years. Steel and aluminum are maintenance-free. 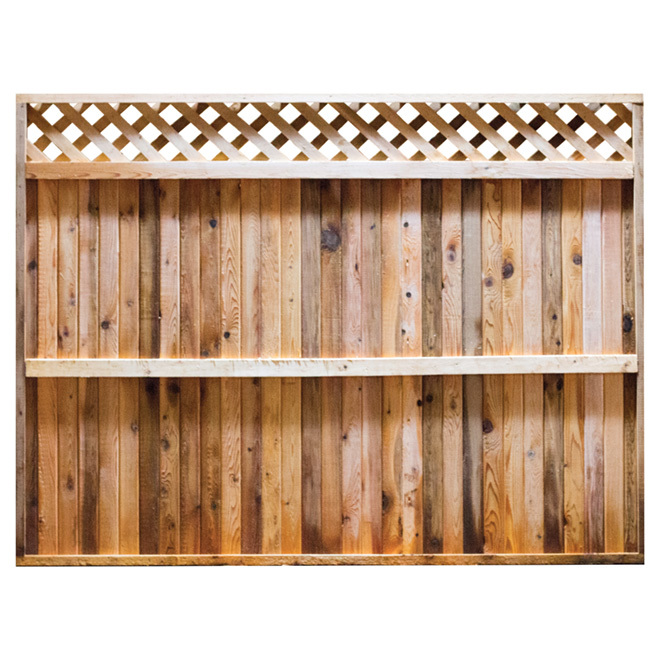 Depending on the length of the area to fence and the panel width of the selected model, calculate the materials you will need for one section of the fence (post, rails, boards, and trellis) then multiply that figure by the number of sections you need to install the entire fence. 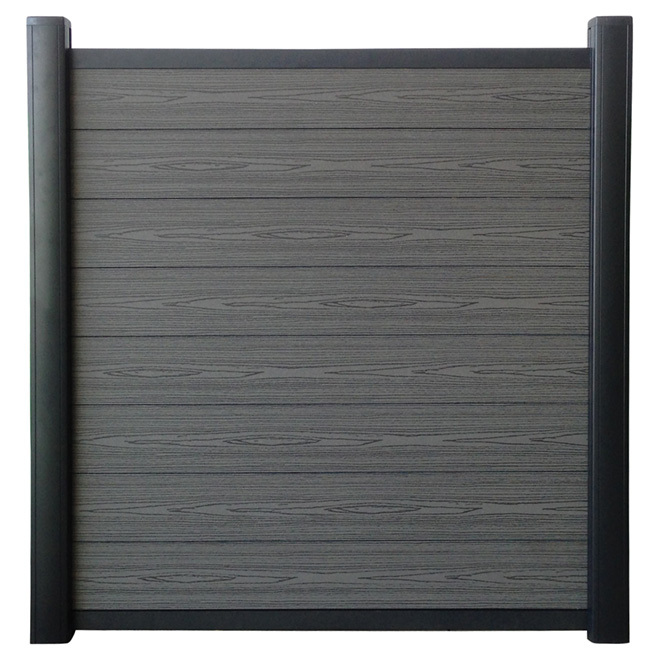 For each panel or section, you'll need one support post, 4 hangers per panel, plus hardware. There are five different ways to put up a fence: posts sunk directly into the ground or into sonotubes, posts inserted into concrete footings, metal stakes driven into the ground, or posts secured to anchor piles. The method you choose should depend on climate conditions (i.e. frequency of strong winds) and the evenness of the ground where you plan to locate the fence. Get complete details by reading our article Choose and put in a foundation for your fence. 1. 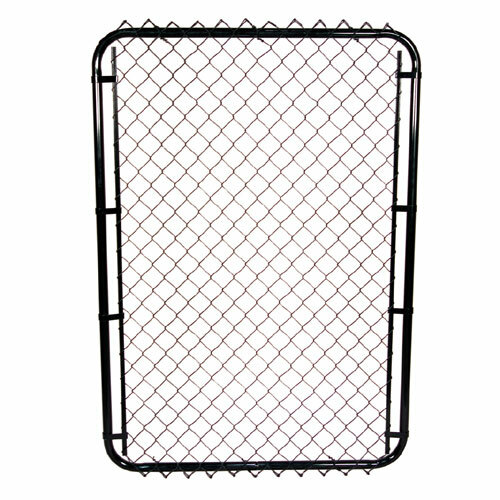 Determine the precise location of the proposed fence using stakes and string. 3. Insert posts according to the type of foundation chosen. 6. Screw boards to the rails. 7. Install accessories, if selected. If you need help to install your fence, call on qualified professionals.